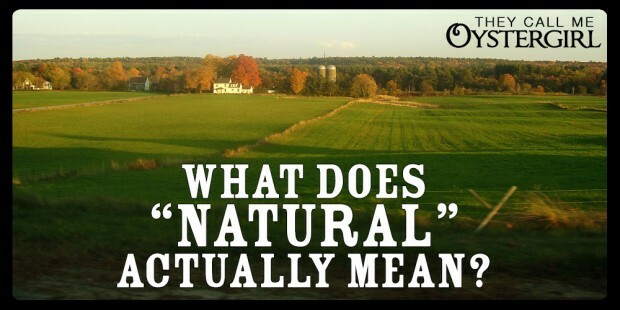 The word “natural” is thrown around a lot these days, by itself or within a phrase like “natural health,” “made with natural ingredients,” “natural parenting,” etc. I don’t generally use the word, because although it seems simple, it can be a loaded with implications and assumptions. However, I often struggle to find an appropriate, equally succinct word. This dichotomy purports that humanity is superior and nature is inferior. We are better than nature and deserve better, so we have declared war on it. We win battles when we build successful dams, and lose them when hurricanes devastate cities. We “own” land, livestock, and pets. It is our default state to control our environment by living in the climate-controlled indoors, and to control our bodies by doing all we can to stifle their fluids and smells. The final definition of “natural”—uncultivated—might be more useful. Forgetting for now that it also means uneducated or uncultured, let’s have it mean untouched or unaltered—like natural (i.e. unprocessed) sweeteners, natural landscape, that sort of thing. The problem with this definition is that, when scrutinized, it rules out not only agriculture but also the classic example of beavers building dams. Calling things “unnatural” can be equally ironic, such as when my practice of not shaving, as a woman, is deemed unnatural. Several years ago, a friend (who was a farmer) frequently ranted about things that were “unnatural” (e.g. oil tanks, the Internet) and therefore bad. Her intention was usually clear, but sometimes, when I asked her to elaborate (both on what defined “unnatural” and why it was inherently bad, and what made agriculture, for example, “natural”), she stumbled and was not really able to discourse it. She—like all of us—held a lot of unquestioned presumptions. This was helpful to me. The thing is, we live in a civilization that is arguably unfriendly to the well-being of not only non-human animals but of many humans as well. We were raised in a society whose conventional wisdom states that we are separate from and better than “nature.” We were enculturated into a system of practices that comes from and supports this way of life. Anything we do is arguably a response to this. There are human activities that, while called “unnatural” (which can mean, as we’ve established, anything or nothing), work, when they help to counter destructive cultural norms. There are also human activities that, while called “natural,” don’t work, when they are marketing ploys by profit-hunger corporations deviously devised to sucker consumers into pumping even more money into our nefarious exploitive capitalistic system by conning them into thinking they’re actually doing something good for the earth and/or themselves. When folks that I know are well-meaning and not evil capitalists use the word “natural,” I don’t question it as much. There is a generally-agreed-upon if not vague definition of the word that is more or less the aforementioned “uncultivated.” But when things are assumed and taken for granted and therefore easily co-opted, I think it’s important to unpack them a little. The real question is, where do those damn beavers and their dams fit in? I totally agree with your definition of natural and the overuse/incorrect use of it. I will say that in using in my tagline I didn’t think twice about it because I equate it with the words “real” and “organic”, not as food necessarily, but in behavior. Good post!